If you’ve been considering cutting out or cutting back on red meat, you may be wondering if you’ll wind up depriving your body of iron. Sure, plant-based foods also contain this mineral, but it isn’t as readily absorbed. Only 2% to 20% of the iron in plants (called non-heme) makes its way from your digestive system to your blood, compared to 15% to 35% of the iron in animal foods (called heme). But fortunately, there’s a simple solution: Just add some vitamin C to your meal. It boosts the amount of non-heme iron your body absorbs by as much as six fold. Below are six iron-rich plant foods, each paired with a fruit or veggie loaded with vitamin C. But there’s no need to stick with these specific pairs—feel free to mix and match. You can create tons of combos with these 12 staples, to help your body get all the iron it needs. 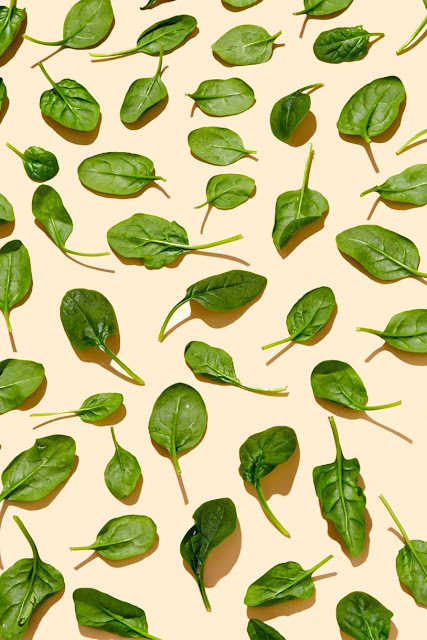 Health.com: What Can You Make With Fresh Baby Spinach? You can whip both of these into a smoothie, add orange wedges to a kale salad, include them in a stir fry, or enjoy an orange with some crunchy kale chips for a nourishing snack. Serve grilled or oven-roasted Brussels sprouts over a bed of seasoned lentils, or add both to a fresh garden salad. Shaved Brussels sprouts and lentils also make a great filling for lettuce cups! If you didn’t know that dark chocolate is a good source of iron, I’m thrilled to deliver the good news. Melt and drizzle it over whole strawberries. Or add chopped dark chocolate and sliced strawberries to your morning oatmeal, whip them together in a smoothie, or fold them into protein-packed Greek yogurt. For a fun and healthy dessert, try frozen pops—pour almond milk, chopped dark chocolate, and minced strawberries into molds, along with seasonings like fresh grated ginger, chopped mint, or ground cinnamon.Cook with iron: Using iron cookware transfers some of the iron into your food, boosting your intake. This works especially well with acidic foods that have a higher moisture content, like tomato sauce. One classic study found that the iron content in spaghetti sauce increased nine fold after being cooked in a cast iron pot. Avoid foods that interfere with iron uptake: Tannins (found in tea and coffee) and calcium both interfere with absorption. So if you’re trying to build your body’s iron stores, try to avoid drinking tea and coffee, and taking calcium supplements before an iron-rich meal. 0 Response to "6 Iron-Rich Food Combos—No Meat Required"